After months of waiting, long conversations, and meetings with President Obama and other Democratic heavyweights, Sen. Bernie Sanders finally stood with Hillary Clinton, the presumptive Democratic presidential nominee, declaring his support for the former secretary of state. Clinton has long been declaring "We're stronger together," and now she finally has the endorsement of the one person she needs most of all to prove that statement. Sanders told the cheering crowd, "I have come here today not to talk about the past, but to focus on the future. That future will be shaped more by what happens on November 8 in voting booths across our nation than by any other event in the world. I have come here to make it as clear as possible as to why I am endorsing Hillary Clinton and why she must become our next president." Clinton crossed the delegate threshold needed to secure the Democratic nomination in early June. While a candidate will typically drop their bid and endorse their party's winner shortly after the latter reaches the magic number of delegates, Sanders has held off on formally endorsing Clinton. His critics would argue that this was due more to ego than his revolution. 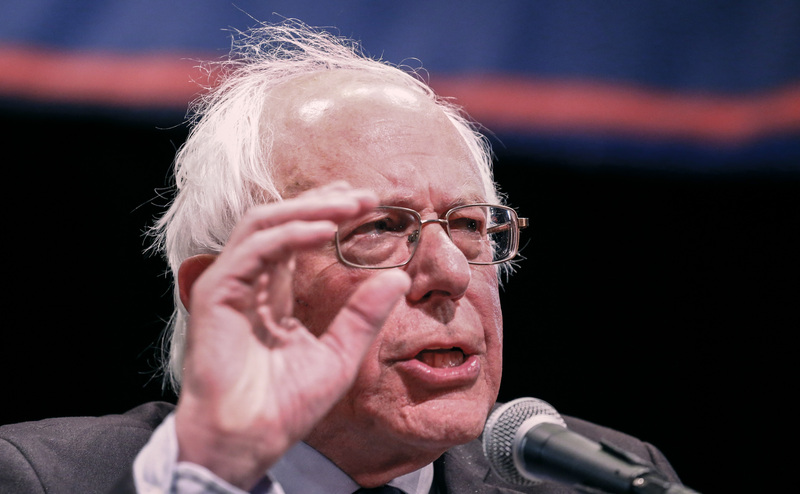 The endorsement finally happened in Portsmouth, New Hampshire, a state Sanders made history in when he won by the most votes ever in the history of its primary. This came on the heels of Clinton's announcement last week of a change in her college affordability plan, which made her proposal sound far more Bernie-esque. In his endorsement speech (a transcript of which was shared by his campaign via email as he addressed the crowd), Sanders stressed how important it was to unify people — not play up divisions — for the sake of the country's future. It seemed like a less-than-subtle jab at Donald Trump, whom he attacked vociferously throughout his speech. We become stronger when black and white, Latino, Asian American, Native American – all of us – stand together. Yes. We become stronger when men and women, young and old, gay and straight, native born and immigrant fight to rid this country of all forms of bigotry. If Sanders believes that Clinton's platform is the one that will elevate marginalized voices and unify the groups that other politicians seek to divide, then it's no doubt she has his full support.